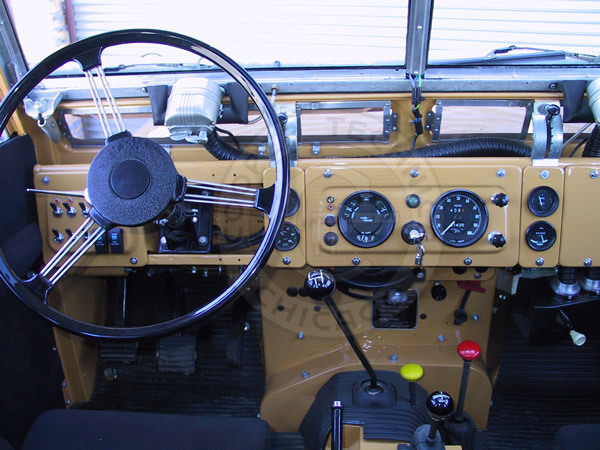 This truck was fully restored and prepared for an expedition to South America. The client wanted a vehicle suitable for "epic journeys". 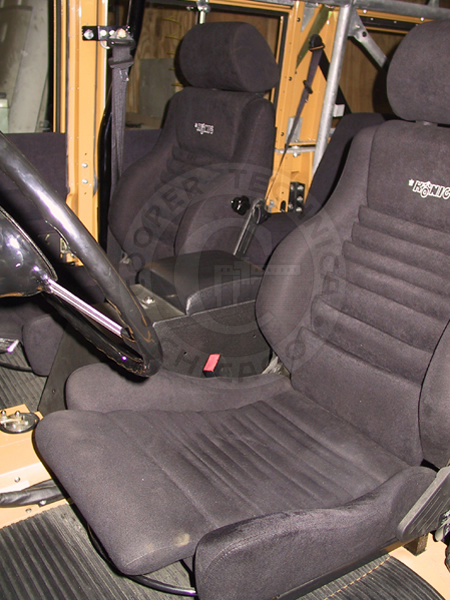 Custom options include a full roll cage, 2 ft. x 2ft. 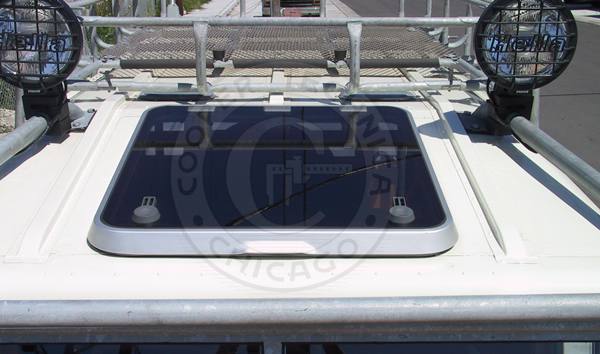 sun roof "hatch," extra fuel tanks, center locking console, custom seats and interior, extra gauges, locking differentials, dual ignition systems, winch, oil cooler, driving lights and more. 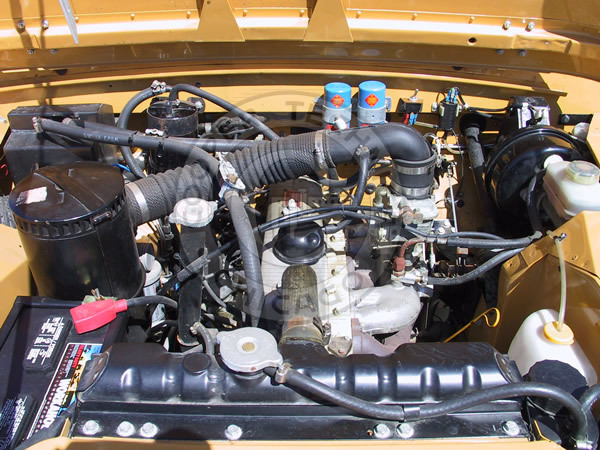 Detail of the engine bay showing 2.25 liter engine, dual ignition system, vacuum assisted brakes, sealed fuel ssystem and 20,000 BTU heater. 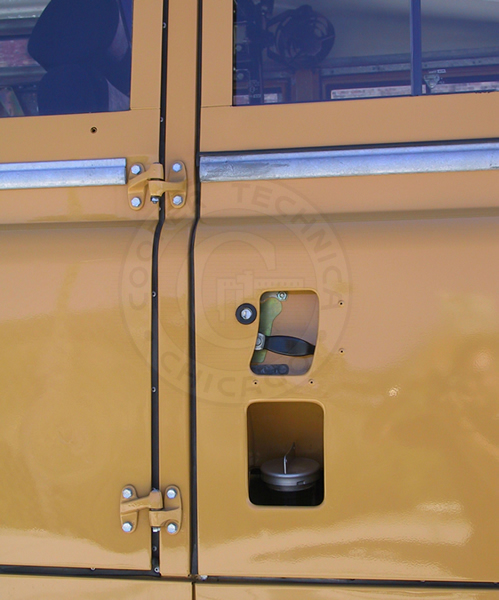 Detail of the combined fuel filler access in the door for the two front fuel tanks. Detail of 2ft. x 2ft. hatch in roof, roof rack and driving lights. Detail showing custom König seats, center security console and the custom valve for the multiple fuel tanks. 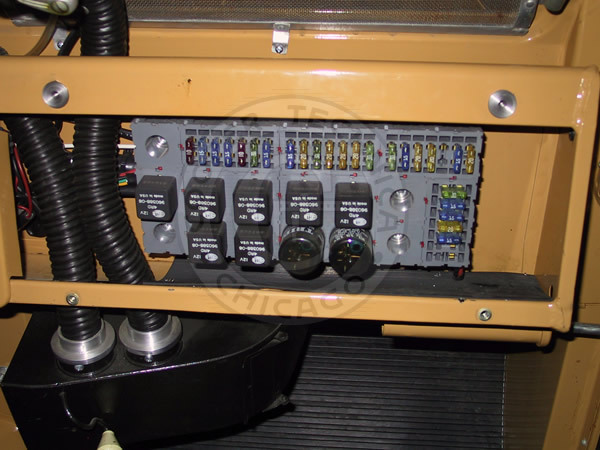 Detail of the fuse panel showing relays and fuses for all circuits. Detail of dashboard/cockpit showing comprehensive instruments and switches. What if Land Rover had held a Camel Trophy Competition in 1961? 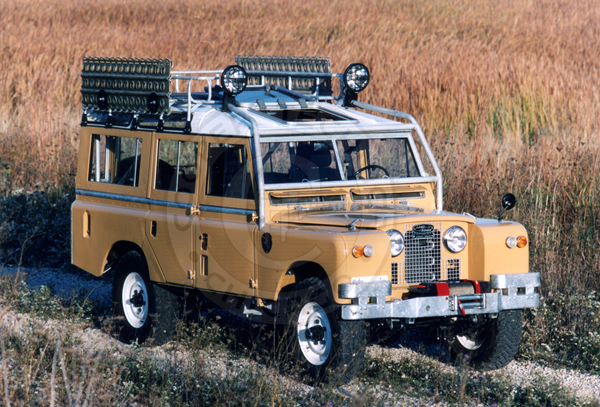 Beginning in 1981, Land Rover made special Camel Trophy vehicles to showcase their capabilities under extreme conditions. The Camel Trophy competition covered the globe, from Borneo to the Congo, from Sumatra to the rugged terrain along the Amazon. Cooper Technica's challenge was to restore a vintage Land Rover, incorporating the Camel Trophy technology developed for expeditions, while retaining the character and elegant simplicity of an older Series modelthe truck that made Land Rover's reputation. In other words, a vehicle like no other, ready for epic journeys. 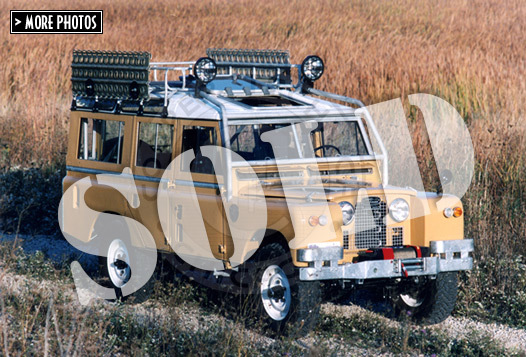 This Land Rover has an unusual history. A close friend and neighbor of President Dwight Eisenhower bought this truck new in 1961. After leaving office, Ike and his friend spent many hours traversing the hills of Gettysburg, Pennsylvania, in this Land Rover. 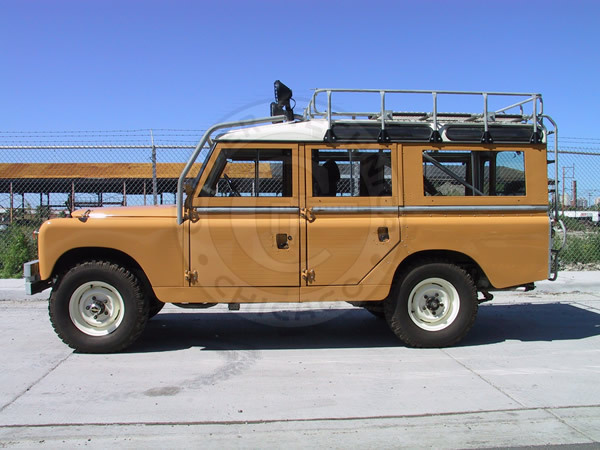 Cooper Technica acquired this Land Rover for our client after it was sold in the estate sale. Special "Recaro type" front seats made by König in Germany, manually controlled, with adjustments for lumbar, back angle, thigh support, etc. Aluminum sand ladders, one pair on each side. Everything completely restored or replaced from ground-up. © 2000 - 2019 Cooper Technica, Inc. - Chicago. All rights reserved.